91L quickly became Potential Tropical Cyclone 07L. This newly formed depression is better defined today as it's getting into the Bahamas. It's a spread out storm affecting Cuba and Florida with precipitation. The more reliable ecmwf model has this brushing South & Southwest Florida as it shoots the gap north of Cuba. 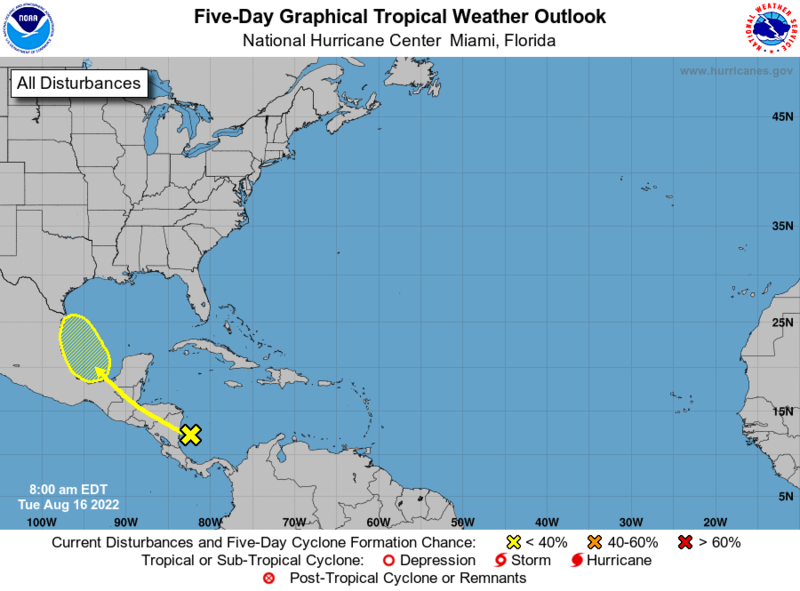 There is agreement among the models that it may pull together, be declared a storm, impact and follow the North Gulf Coast as it heads towards Texas. Models have hinted to a Brown Ocean Effect along the way, where the storm feeds off the moist hot land as the coast is being primed by another wave currently dumpingrain on the north gulf shore. Rip Current Warning are up along Southern Florida. Expecting both East Central Florida and South Florida to have a wet night and Labor Day with winds possible up to 20mph. Florence rained on the Southern Capo Verde Islands. This one is still uncertain if it gets stronger and goes north or is it will stay weaker and possible travel more toward the Western Atlantic. The storm train is getting warmed up from there. Behind Florence is another storm (currently the yellow X above) likely to develop into at least a weaker storm. The one still on Africa following that maybe stronger and more likely to make it across the Atlantic.